Seoul, Korea Day 1 - Namdaemun, Myeongdong, Woori Garden | JACQSOWHAT: Food. Travel. Lifestyle. Directions: After alighting, turn left & you'll see Shinhan bank at a T-junction. Turn right at that junction & you'll see Seoul Theater (right side). Go straight & turn right at the Pharmacy & Udon Restaurant. About 50m, you'll see the hotel on the left side. Walking distance to Jongno 3-ga Station & allow guests fast and easy access to nearby attractions like Gyeongbokgung (Palace), and Namsan Tower or to some of the major shopping districts like Namdaemun Market, Dongdaemun Market, and Myeong-dong. Complimentary toast, cup noodles, cereal is served for breakfast! Very comfortable stay, clean & packed w all the necessary amenities. We booked the deluxe room which comes with a double & a single bed. So we decided to placed all our luggage on the smaller bed. The room comes w heated floor and bed and it was really essential as the temperature drops below 5 while we were there in the night. Very worth for about 90SGD per night for a Deluxe room. If you wish for a bigger room, go for the Executive Room which is twice as big & comes w a double bed & a jazcuzzi bathtub for about 130SGD per night. 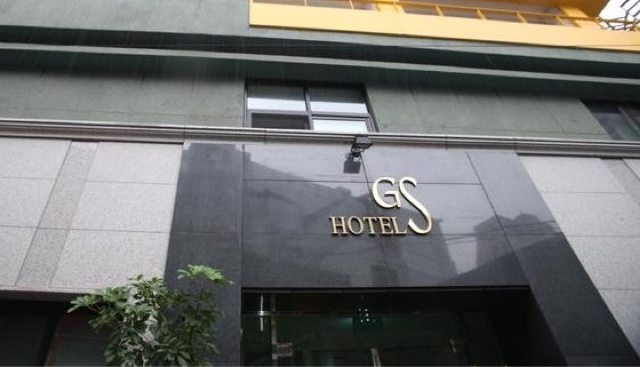 If you don't wish to spend a bomb on your accommodation, GS hotel is the one for you. It's about 3mins walking time to Jongno 3(sam)ga MTR station which interchange 3 lines. After checking in, we set off to Namdaemun Market & Myeongdong for food & shopping. Purchase your T-Card here for your MTR rides. It's quite user friendly, they've certain machines in English. Alight at Hoehyeon MTR station & there'll be signage to direct you to Namdaemun Market. My fav travel companion of all time! After, we head over to Myeongdong for shopping & dinner. Shopping paradise! Cosmestic brands are everywhere in the streets of Myeongdong and Seoul itself. 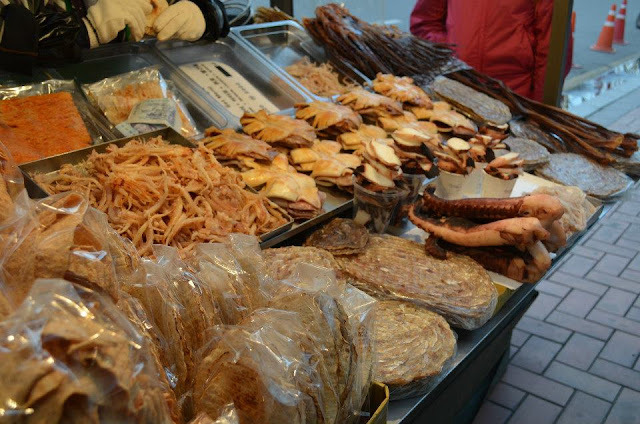 Street snacks were the best in Seoul. You just can't miss them! Afterwhich, we head over to Woori Garden Korean BBQ for dinner. It was recommended and ranked quite on the top of TripAdvisor so we decided to try it out. I've to say it tasted really good w the condiments & plently of side dishes! Directions: Get out of Exit 8 of Myeongdong and it's located at the basement of that building. There'll be signage. Address: 65-6 Chungmuro 2-ga, Jung-gu, Seoul. 100-861 KOREA. Dropped by Lotte Mart for some local snacks at Seoul Station and called it a day. 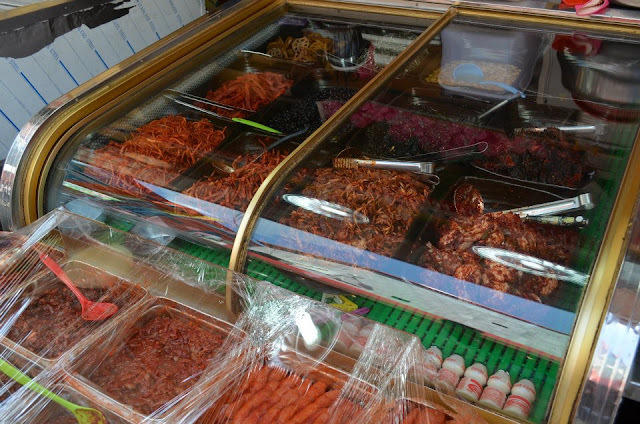 There are many outlets selling local snacks in Korea but lotte mart has a big variety of it. Hi Ronald Sam, I've updated the links in the different post of my trip to korea. I've included the link to Day 2 in this post. Hope that helps! Cheers! thanks for sharing. BTW , how did you travel from airport to hotel? From incheon airport, you can take the airport limousine number 6002 which cost 10000W per pax - alight at the stop named Jongno 3(Sam) ga. It will be at the exit 15 of Jongno 3 (Sam)ga subway station. The journey from airport will take you about an hour. When you've alighted, turn left and walk towards a bank at the T-junction. Give it a right turn after you passed the bank, walk down the street about 2mins, you'll see a pharmacy or noodle shop, turn right and reached GS Hotel. There'll be signage to guide you. Have fun! Do you have the email address of the hotel you stayed in? Hi may I know how did you book the hotel? 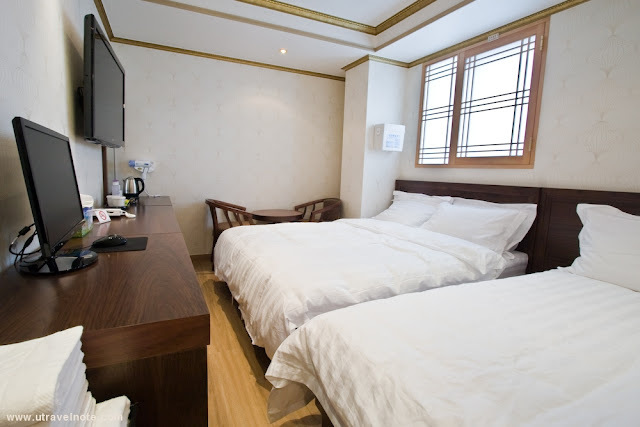 Direct from the website or through hotel booking sites like http://www.trivago.sg/seoul-101629/hotel/gs--jongro-2199266 ? Am considering staying there when I am there! Can I check when did you book the airport limousine? Hello there! I came across your blog while searching for Korea trip blogs. May i ask what flight did you take to Korea and how much was it?